Shops in Tokyo try many things to stand out from their competition. Adding some kind of creative costume or headdress to their outdoor mannequins is not uncommon for stores catering to the younger crowd. 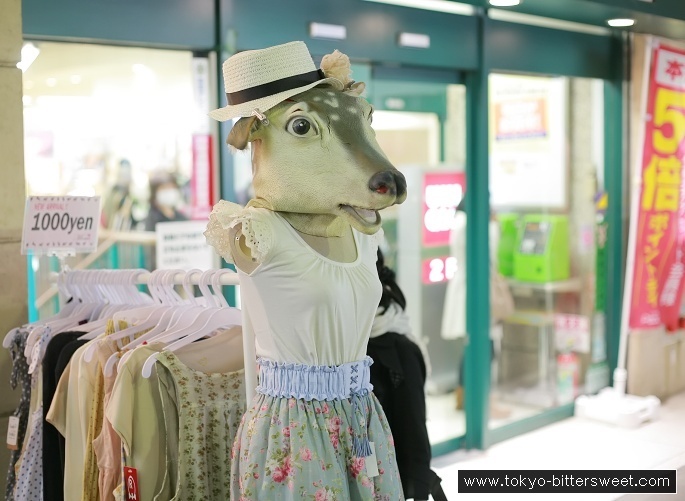 This deerhead-mask wearing figure was photographed in Shimo-Kitazawa. It is still one of the more tamer results trying to get the attention of passers-by.